Free Software on the Surface, Behind the Screen and in a Cultural Kaleidoscope: X-Devian. 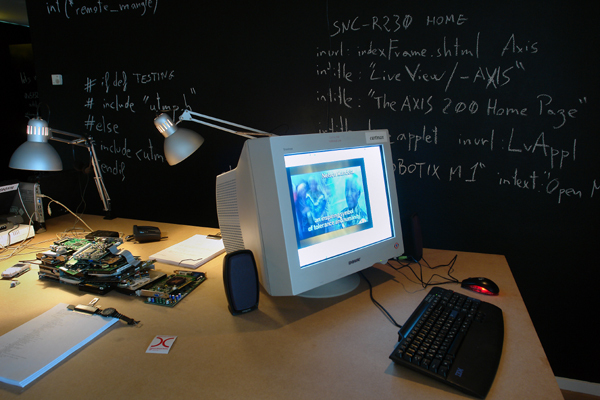 In 1999, when the art and technology festival Ars Electronica awarded The Golden Nica, first prize in the ”.net” category, to the programmer Linus Torvalds for his development of the Linux operating system, it was pointing in general to the relationship between free software and art, and more specifically to the affinity between free software and that part of contemporary art which is concerned with software’s constantly increasing influence on social, economic and political conditions. Like Linux, this part of contemporary art works against the proprietary software industry’s standardization, repression and rationalization of the software culture, and instead explores alternate possibilities for freeing the software culture through more open, expressive and speculative processes. On a more indirect level, Ars Electronica’s choice of Linux also emphasized another relationship between free software and this contemporary art, i.e. the idea informing both that software is not just a question of programming, but of producing culture – of understanding and using technology as a means of engaging in a social context. According to the founder of the Free Software Foundation (FSF) Richard Stallman, free software is about ”practical material advantages” but also about ”what kind of society we want to live in, and what constitutes a good society”. 1 Stallman himself imagines an extremely collective and creative society founded on the freedom to ”use, study, copy, modify and redistribute software”. For him, the free software’s fundamental abolishment of intellectual property rights represents a chance to structurally and conceptually ”reprogram” society for the better, and this is an opinion he shares with much of contemporary art.